ExtraDigital SEO Case Study. Over one Million Users within a year. SEO experts. Maintained SEO clients for over 12 years. Over one million active users within one year of SEO and social media marketing work. The graphic above is real case study data from analytics and shows website visitors growing from 825 in December 2013 up to a staggering 423,000 visitors in December 2014. 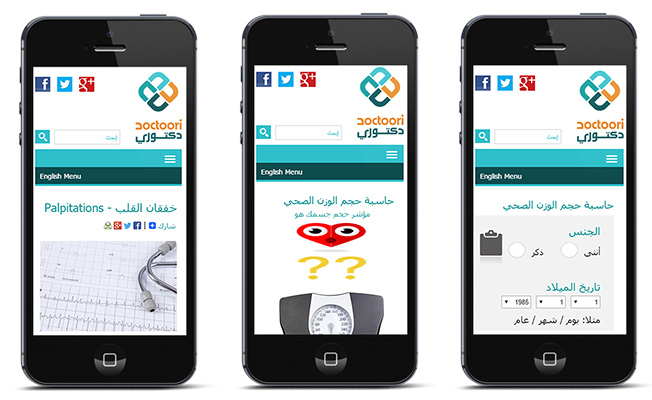 This is for the medical website Doctoori, which provides medical information in Arabic. Generating a large user base is key to the business development and ExtraDigital were asked to help with the SEO and online marketing. In terms of daily visitors, this has increased from about 30 per day to over 40,000 visitors per day. The total number of users of the website now exceeds one million. 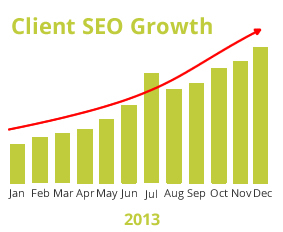 Within one year, SEO had grown the user base to over one million people. Data from analytics is able to give information on where these people are based and what articles and topics they are interested in. So how do you use SEO to get such a dramatic increase in visitors? The answer is surprisingly simple. You build a quality website with SEO optimised code, you add quality content that is interesting and engaging and you promote this content to others. Doctoori is one of many businesses that ExtraDigital have helped grow by very significantly improving their visibility on the Internet. Q: Did you use link building? ExtraDigital have never used the traditional link building SEO techniques as Google has never liked them. 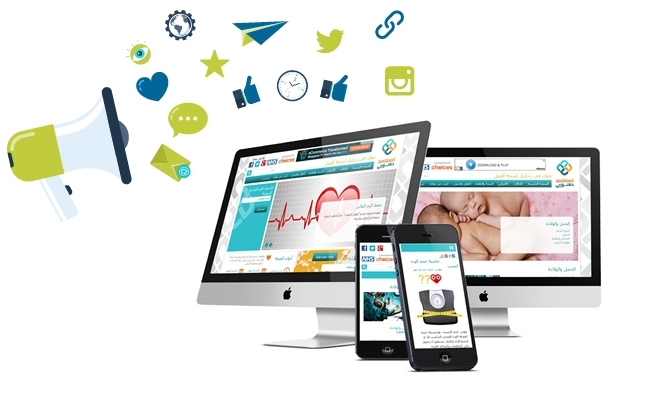 We do promote the website elsewhere by writing quality articles or blogs (in Arabic as this is an Arabic website). But we have never seen the need for large-scale link building techniques. And if you can get a 512-fold increase in website traffic without this rather proves that traditional link building is not needed! Q: Did you use social? Yes – social marketing is an important ingredient within forward-looking SEO work. It is used to build engagement and promote the website. Google has sophisticated algorithms looking at how people talk about and share information on websites and understanding this helps achieve better SEO results. Q: Are there any differences with Arabic SEO – is it harder than English? SEO is all about gaining high visibility – climbing to the top of the search results in your market. So English and Arabic are different markets. There are fewer Arabic website so external SEO work – aimed at promoting the website on the internet is actually harder. And a surprising number of SEO tools still do not support Arabic language characters. 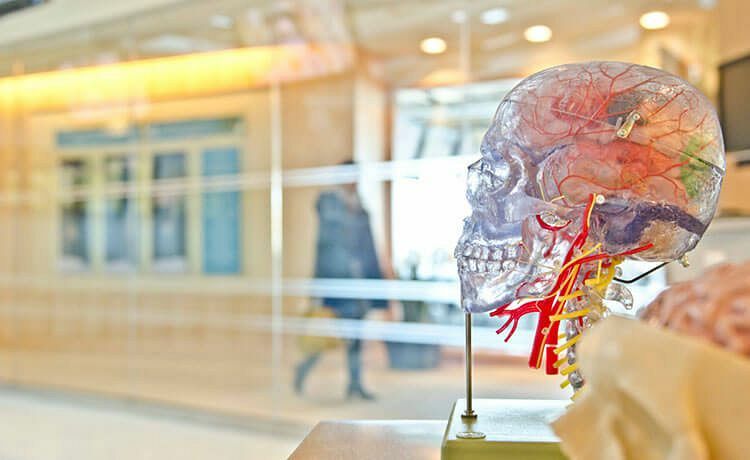 The Doctoori website also had a huge advantage in that it was built on the ExtraCMS which was built with multilingual SEO in mind, and makes multilingual SEO much easier. Many content management systems require SEO modules to generate search friendly websites - but it is more efficient to build SEO friendly to start with. For more information on this case study please call 01227 686898 or tell us more about your needs below. Off Site Blog, On Site Blog or Both? Which should you choose an Off site blog, On site blog or both? Find out how to choose the right version to support your SEO. Can there be disadvantages to SEO? Yes there can, all marketing channels have their benefits and disadvantages, see which ones you should be aware of.